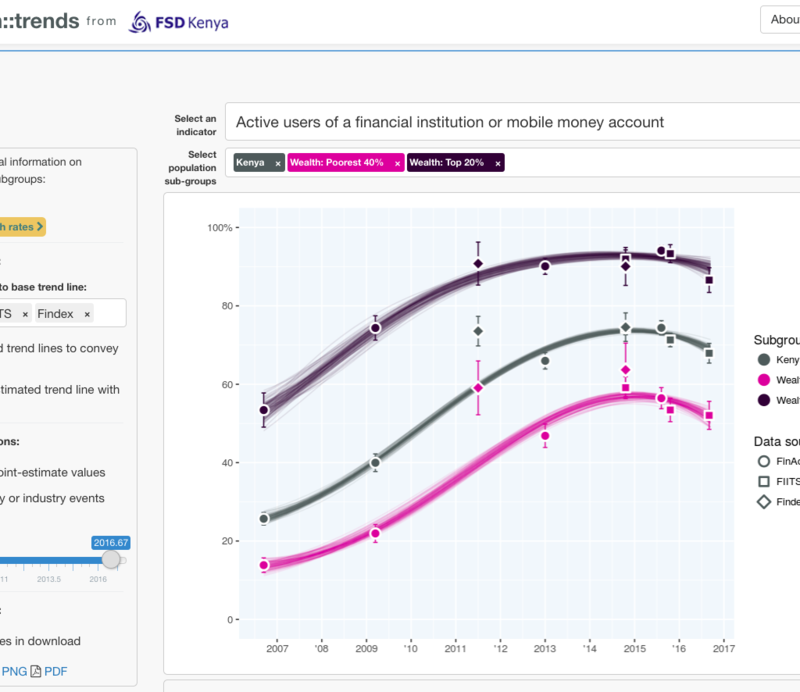 Our collection of both interactive and static visualizations that help you make sense of financial sector data. 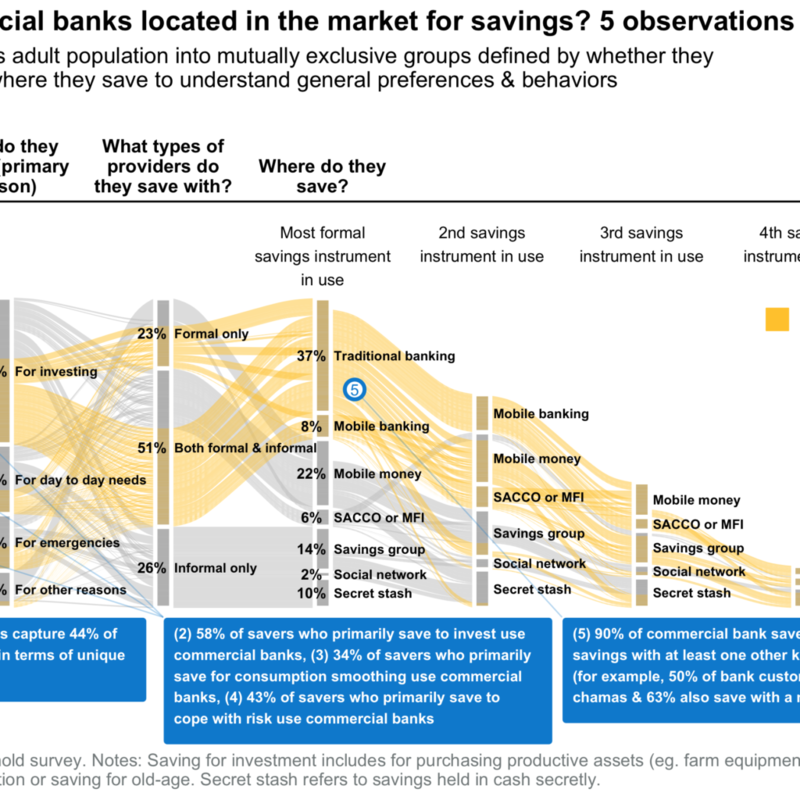 Who are the users of different financial products & services? 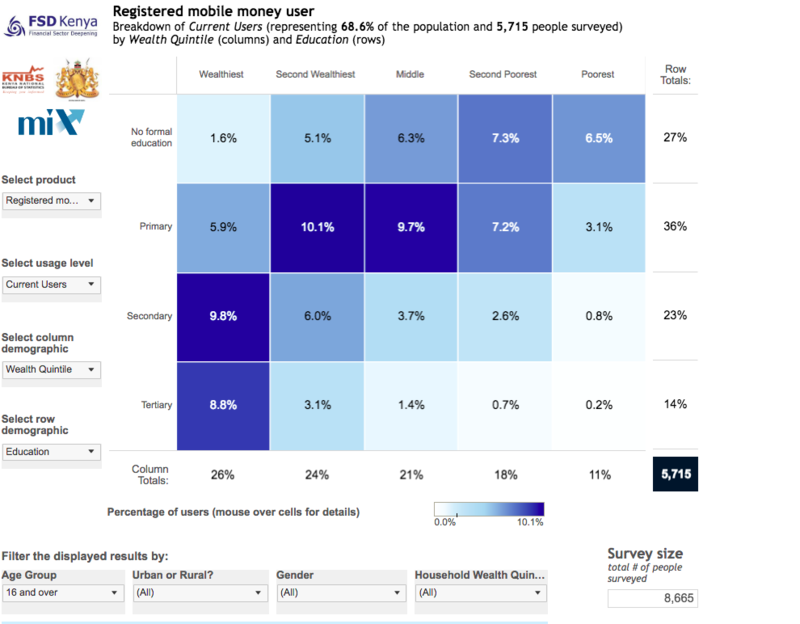 This visualization tool displays the distribution of users of financial services (using the 2016 FinAccess household survey) across two demographic dimensions. 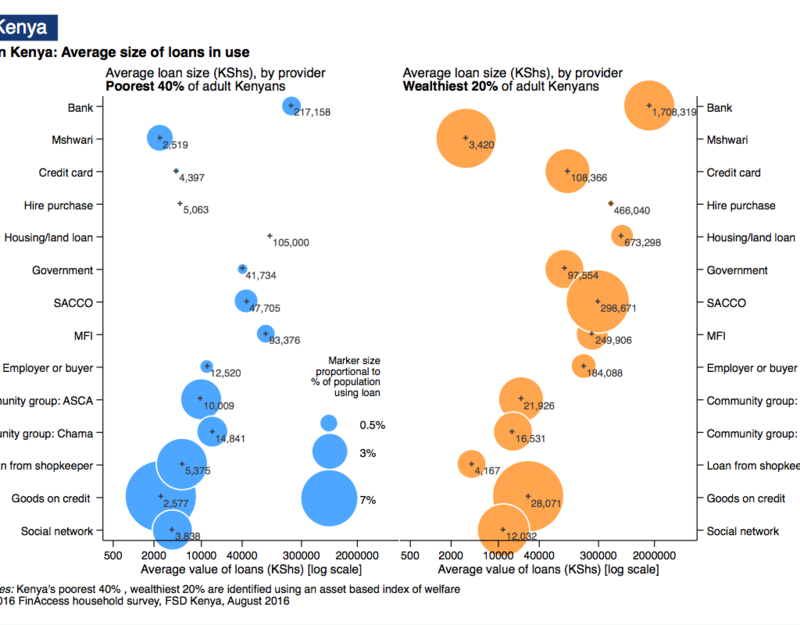 Chart of the week: Credit in Kenya – how big are loans, on average? 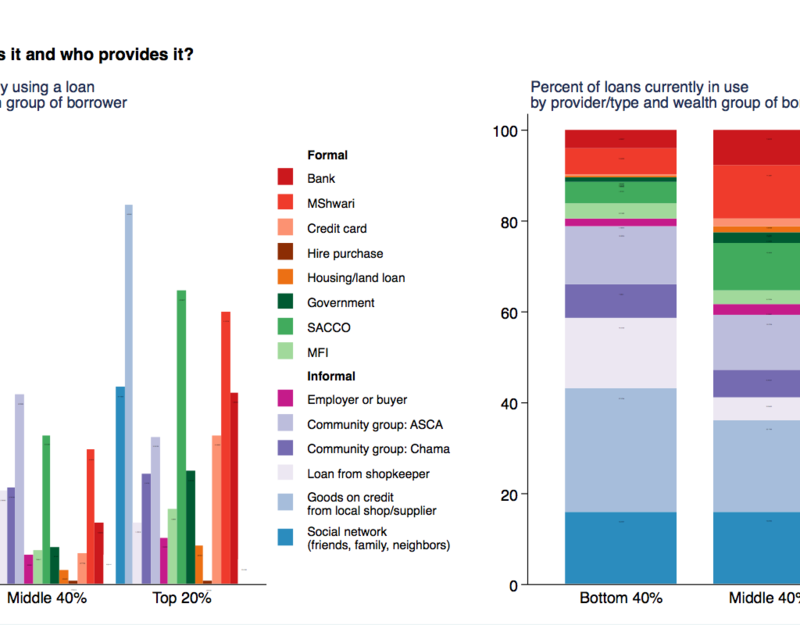 This chart of the week explores the average loan size adult Kenyans in the poorest 40% and the richest 20% are able to access from a variety of formal and informal providers. The data is from the 2016 FinAccess Household survey. 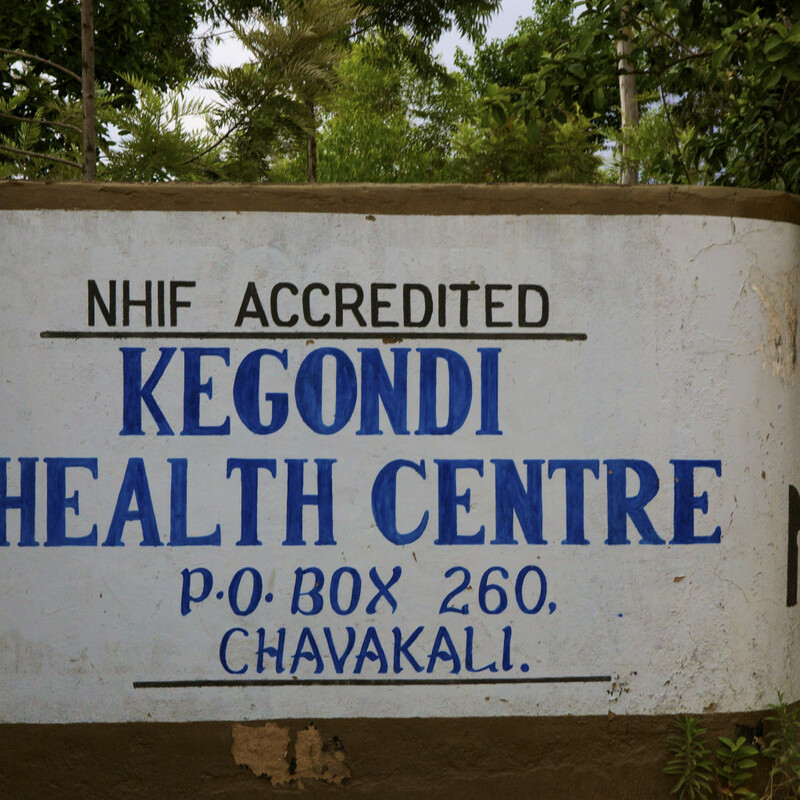 Chart of the week: Credit in Kenya, who uses it and who provides it? 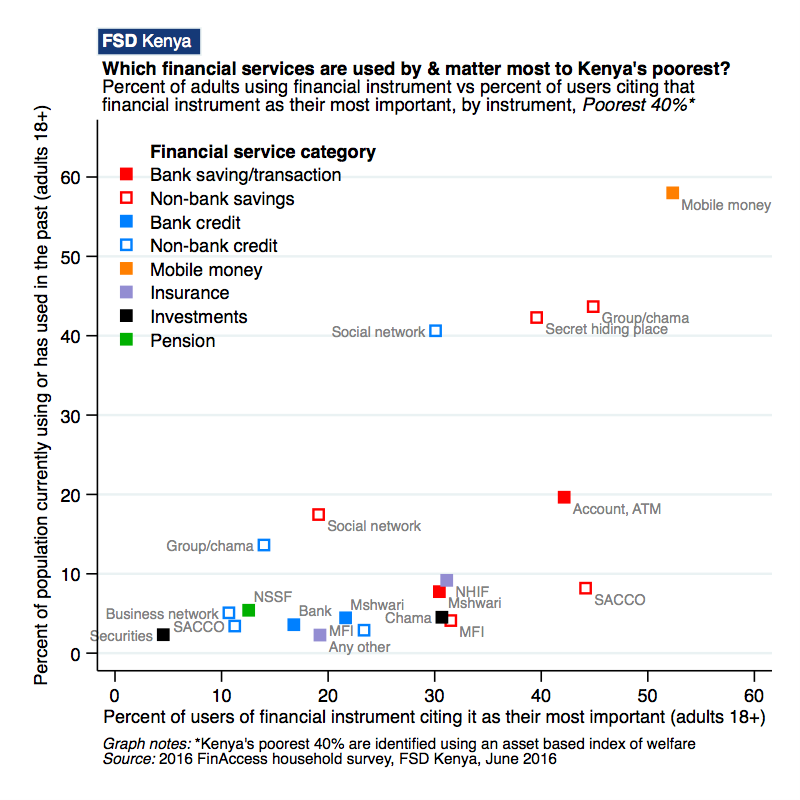 Chart of the week: Which financial instruments matter most to Kenya’s poorest? 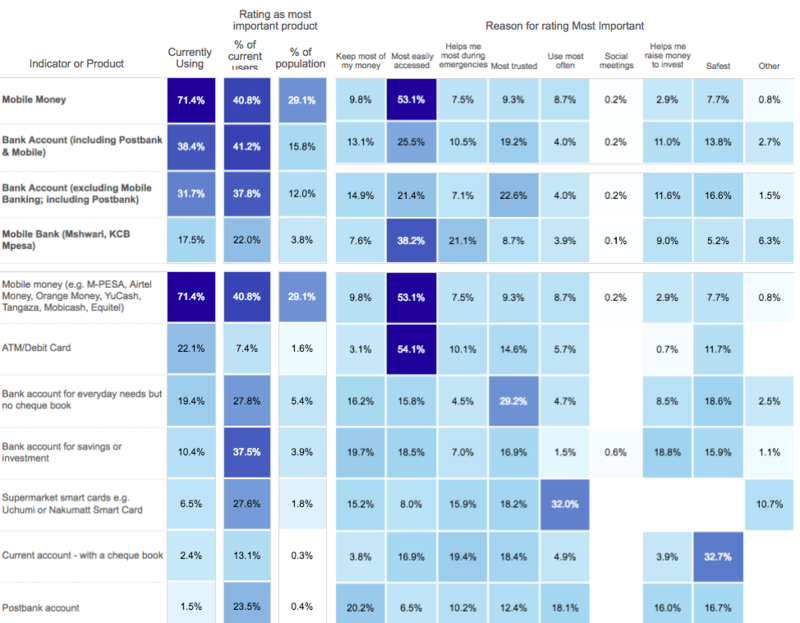 Examining the money management strategies that come into play in a time of financial distress. 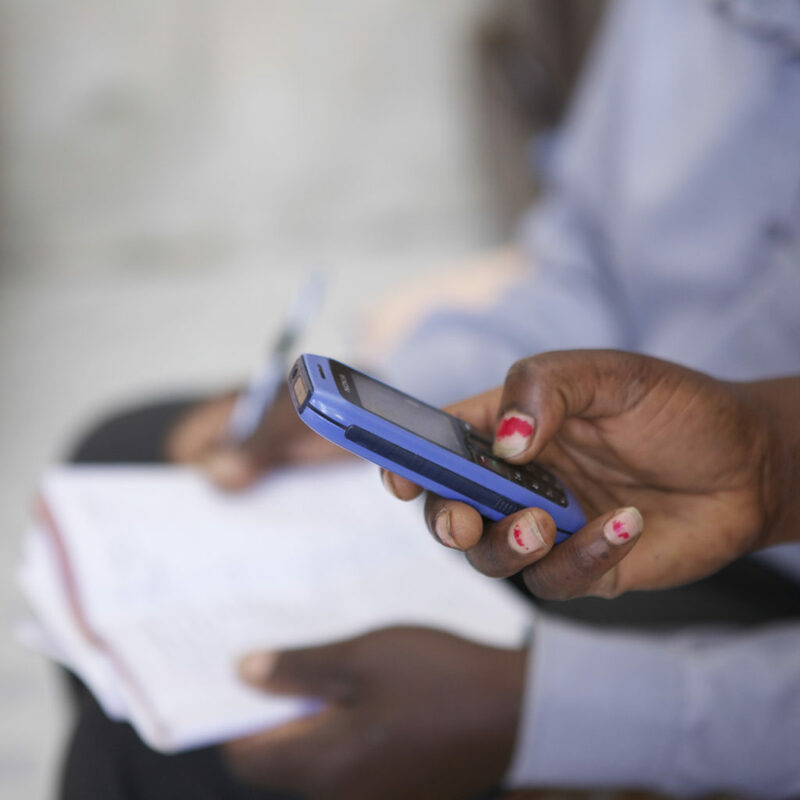 FSD Kenya's first chart of the week explores M-Shwari's growth.